When heroes choose to chase down the fiendish, spooky, and downright villainous, Pathfinder Flip-Mat: Wicked Dungeon has you covered. 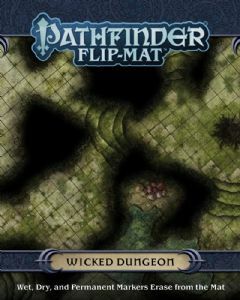 Each side of this Flip-Mat details a different haunt for the purely wicked: one is a twisted labyrinth of briar walls, and the other is a hellscape prison of magma, smoke, and burning iron. This portable map measures 24" × 30" unfolded and 8" × 10" folded. 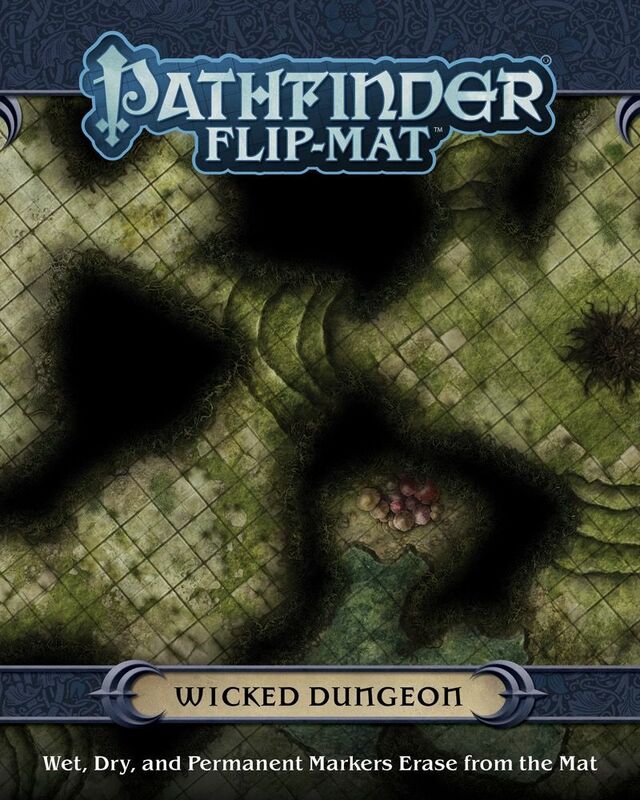 Designed for experienced GMs and novices alike, and usable with both dry erase and wet erase markers, Pathfinder Flip-Mats fit perfectly into any Game Master's arsenal!